No business owner or accountant wants to assume that anyone would ever take advantage of the business that they have worked so hard to build and maintain, but unfortunately there unscrupulous folks out there that for whatever reason either find themselves in a place of hardship or really just don’t care about people besides themselves and will look for ways to exploit opportunities to take from a business or scam someone out of money. It may be as simple as skimming a few bucks from the cash register or it may be as serious as top executives “cooking the books” or fudging their revenue numbers. Those engaged in the crime always seem to think that it’s a victimless crime, but it’s not. 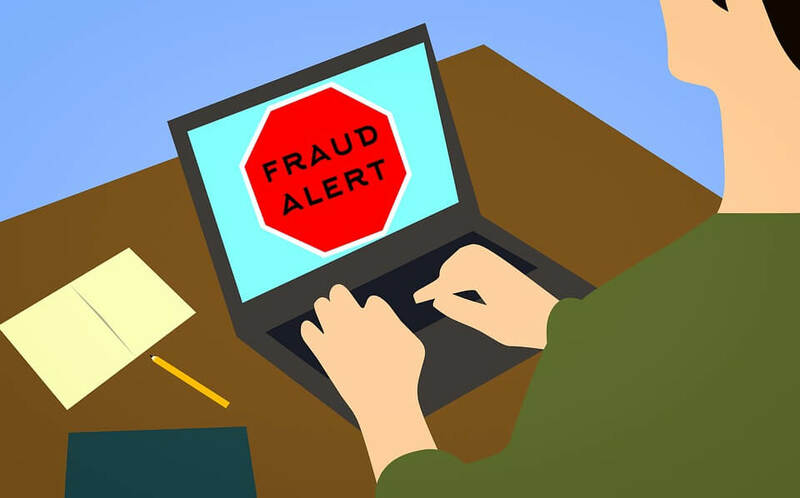 Sarah Ovaska-Few wrote a fascinating article about warning signs that experienced forensic accountants look for when they are trying to spot business fraud for www.journalofaccountacy.com and put together a list of warning signs that everyone should be watching out for. You can see the full article here. We will summarize the key signs below. One of the key signs that doesn’t guarantee that fraud will occur but is usually a common denominator is when employees or partners are living beyond their means. An easy way to help hedge against being a victim of this crime is to put checks and balances in place. Don’t allow just one person to be in charge of the books, purchasing or payroll. Send the message internally that other people are watching, looking and paying attention. Just this little trick is often enough to shut down potential theft. Put routine checks, audits and inspections in place to look over the books and expenditures. Make it a common practice that is done randomly and with no warning. Watch for unusual email activity. Whenever emails are sent that are out of character or send directions that are outside of what the business usually does, again it’s not for certain that fraud is under way but it could potentially show that a scam is being planned or carried out. Watch for email inconsistencies or emails that are written in a way that is different from the normal writing style of the sender. If you put tighter controls in place and are experiencing significant staff resistance to the changes, that could signal that something is going on. It’s normal in any business to get some resistance to change- after all, people are human and sometimes adapting to change isn’t fun. But if you are getting significant pushback that is not normal for change or tighter controls, it may signal that you want to look deeper and figure out what’s going on. Watch out for unusually close relationships between purchasing employees and vendors. It might signal that there are some kickbacks going on, or other unethical agreements. It’s not uncommon for a vendor and employee to scheme to over charge a company and then collect more money and give a kickback to the employee for the scheme. These can be hard schemes to uncover because if you look at the company’s books it simply shows a purchase was made. It does not necessarily show that the company was overcharged by double or even triple the amount for the purchase. It is advisable to always get several bids from several vendors before making large purchases and always regularly review your contracts with vendors. If things seem too good to be true, they usually are. That saying is never truer than in this scenario when the company’s performance, profit margins or sales expectations have been blown out of the water in comparison to competitors. Granted, maybe this company really did figure out the secret sauce to blowing away the competition, but in general these are also telltale signs of something more going on. Chances are nothing is going on, no illegal activities or shady accounting moves are happening but if they are, you’ll want to catch it immediately. We would suggest having on-going audits performed by unaffiliated third parties or forensic accountants. But even with audits, it’s not always a sure bet that you will find the information you are looking for. Audits are only as good as the information given and anyone that’s desperate enough to cover their tracks and not get caught can get pretty creative with the information they give. Hopefully though, if your business has a culture of checks and balances, regular audits, and a safe place for other employees to report anything they see, hear or suspect in a safe environment without the fear of retaliation, and a well defined system of internal controls in place- hopefully any potential fraud will be minimized or avoided all together. FAS CPA & Consultants offer auditing services to U.S. businesses of all sizes. We will provide you with extensive value needed to secure your successful path in the future. Get in touch with one of our advisors today and rest assured you are doing the best you can for your organization.